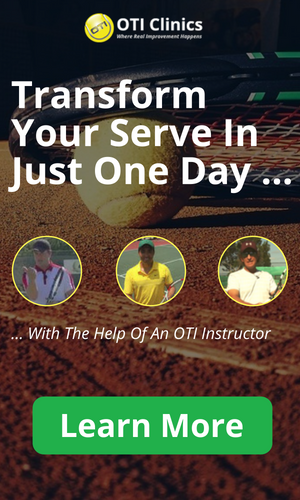 Tennis Elbow Treatment comes in many different forms and after switching to a one-handed backhand a few years ago and practicing with professional players every day, I tried pretty much all of them myself. 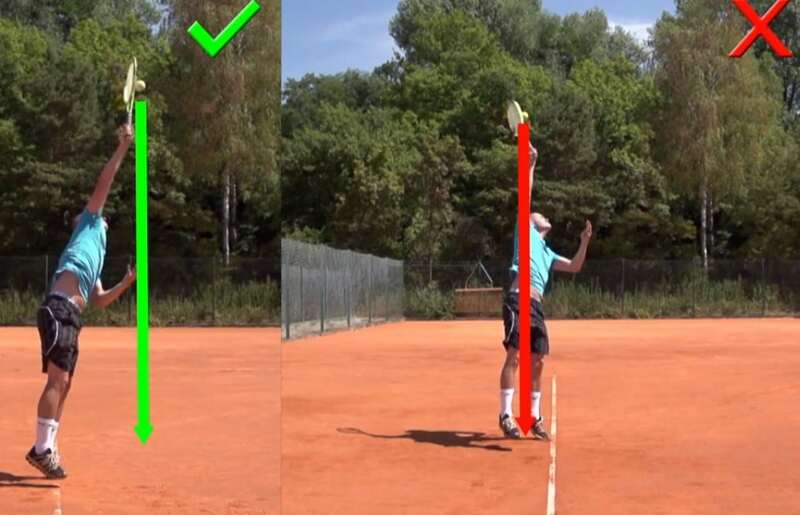 Tennis elbow is the most common tennis injury. It can be extremely painful and take a long time to heal. In this section I would like to provide all the information I gathered on the injury: what it is, how it can be treated and how it can be prevented! I am not a medical doctor or physical therapist so use this information accordingly! 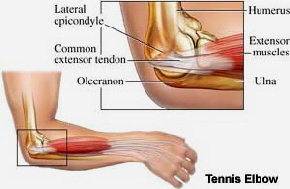 Tennis elbow is an inflammation of the tendons that connect the forearm or extensor muscles with the elbow joint. The medical term is lateral epicondylitis. The problem therefore revolves around several muscle groups that connect the hand, arm, and fingers with the elbow. These muscles are small and can easily become overused and tight. Usually you can feel this tightness when you try to press into the muscles with your other hand. Everything will feel very hard compared to a healthy arm. These tight shortened muscles pull on the tendon and lead to an inflammatory process which makes tennis elbow treament very difficult. Scar tissue can build around the area where muscle and tendon connect. The following information is based on my experiences with tennis elbow treatment and serves only informational purposes! This is the most obvious way to deal with your problem. Avoiding all activities that involve the forearm muscles like playing tennis, typing on the computer, working around the house etc. Resting is the first step to getting your elbow better! It obviously makes no sense to keep playing tennis if your elbow is hurting. If your elbow pain is severe you might consider resting the arm completely for a while. In general, I would say that it is very important to rest the arm when you first start feeling elbow pain. Tennis elbow treatment is a lot more difficult once the pain is severe! Icing the arm is very often recommended when you first experience elbow pain. The idea is to decrease the inflammation. Again, I think icing can be good in the beginning and when your elbow pain is not very severe. Once you have had elbow pain for a while though my experience has been that icing is not that effective. I believe stretching can really help; for some people even with a severe chronic tennis elbow! The idea behind it is to relax and lengthen the shortened/tight muscles. I know many people who have been able to get rid of their elbow problems through stretching! You have to stretch a lot though. I recommend holding the stretches for at least 30 secs and do not stretch to the point of pain!Start with a nice light stretch and then slowly go a bit further. Try to stretch the forearm muscles like this several times a day and it might just help you get rid of your tennis elbow! Your doctor will usually send you to see a physical therapy practitioner. The therapist will often work with ultra-sound and/or some form of massage. The ultra-sound seems to help some people and others not. Definitely worth a try in my opinion. Massage therapy is a very interesting topic for your tennis elbow treatment! I have had very mixed experiences here. The goal of massaging the arm is to loosen the tight muscle-fibers that are pulling on the tendon and causing your elbow pain. The idea behind it therefore makes a lot of sense to me. What I have found though is that there is a great deal of variety in the quality and effectiveness of the massage. Often the muscles that are not letting go are very deep in the arm and therefore I believe you need deep-tissue massage. The more intense and deep the massage, the better the tennis elbow treatment in my opinion! My last therapist kept using a wooden stick to get very deep into my arm. This was quite painful but helped me a whole lot with the arm. My recommendation therefore is: try to find a physical or massage therapist with strong arms that is willing to go deep into your muscles! This has helped me get rid off my chronic tennis elbow after 1.5 years!